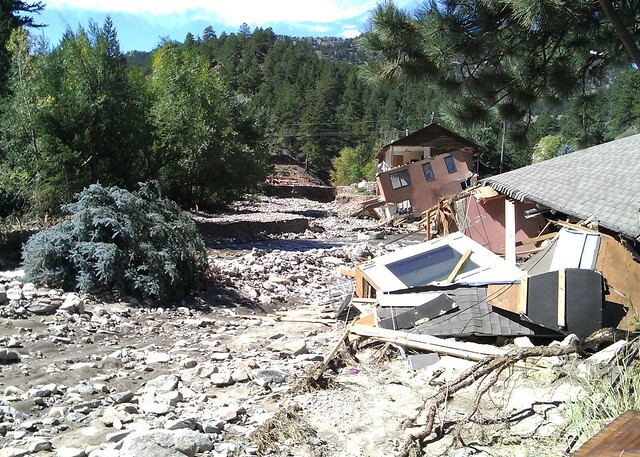 In a previous post, we talked about how Colorado’s recent floods devastated the habitats of riparian animals. Of course, it’s hard to mention those ravaged watersheds without turning wondering about the human habitats that were affected. People’s lives were turned into flotsam and jetsam by this unexpected disaster. They are still rebuilding, and efforts to help them need to maintain momentum well into the future. Perhaps the most obvious destruction was the damage caused to homes. When the Creeklife team visited Lyons, we found that the town and its buildings had been all but completely demolished. Built along Left Hand Creek–usually a quiet, shallow stream that invites inner-tubers in the summer and intrepid fly fishermen well into the winter months–the town was completely cut off from outside communication for weeks. Although the Rocky Mountain environment encourages a sturdy, self-reliant attitude, many Lyons residents are simply at a loss for what to do. 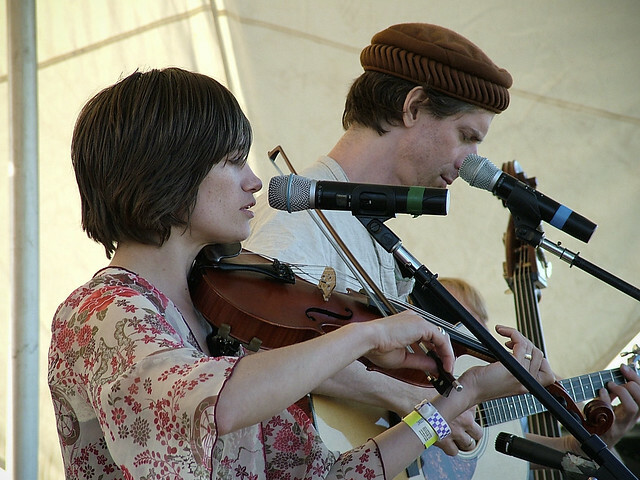 Enion Pelta and her husband performing in 2007; photo via morgan (Flickr). Enion Pelta and her family lost just about everything; their house and possessions washed downstream in this historically violent flood. The river carried away Enion’s childhood violin, a treasure that she wanted to pass on to her son, as well as some of the instruments that she and her husband used as professional musicians. The flood put many local livelihoods in jeopardy: Sandra Allison stayed lighthearted in the face of tragedy, laughing that the river purged her life of “superfluous junk”–but the damage to her industrial sewing machine was no joke. At high elevations, the sheer force of the torrent rushed through towns like Lyons, destroying the buildings and tools that many of Colorado’s small businesses depend on to earn a living. Communities at lower elevations were dealt a different kind of blow: Colorado’s eastern plains are home to many subsistence farmers who eke out an income on the floodplains of the Platte, the St. Vrain, and the Big Thompson. When these rivers breached their banks this summer, the damage resulted not so much from the force of the water as from its sheer volume. Entire crops of beets, wheat, corn, and hay were lost to the floods while farmers scrambled to save their livestock. 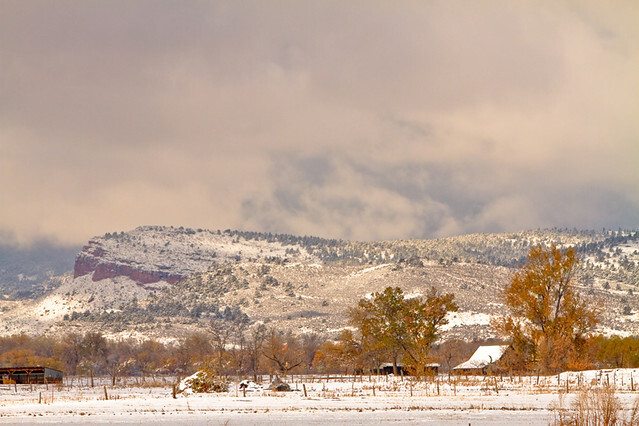 As a cold Rocky Mountain winter rolls over the state, these farmers need help restoring their fields and feeding their herds. At both high elevations and low ones, funds are needed to rebuild people’s homes and lives. One way to help is to reach out to your partners in the community, including schools, churches, local organizations, and local businesses. Crowdfunding sites like Creeklife enable grassroots financial support for the needed creek restoration. Don’t be afraid to pitch in!